Why do we suffer? Breaking, realigning and joyous inner secrets. In the laws of the building of the Tabernacle, G-d instructs Moses to command Israel to bring to him pure olive oil, to be used to ”elevate a ner tamid, an eternal light.” Pure olive oil is an allegorical term for the inner dimension of the Torah, which, similar to olive oil, illuminates us. Moses gave us the entire Torah – with all its dimensions – the revealed part of the Torah and the inner dimension, the soul of souls of the Torah. Interestingly, it is not Moses who is commanded to bring the pure olive oil to Israel, but rather, Israel is to bring pure olive oil to Moses. It is his job to combine all the Children of Israel together, and also to combine all these oils together into one, (mitzvah, ‘commandment’, means ‘connection’). What is the pure olive oil? Every Jew has a soul, a “neshamah”. In Hebrew, the letters for neshama are an anagram for hashemen, ‘the oil.’ Oil is the innermost essence of reality. It is the secret of every Jew. This oil is not to be kept to ourselves. We must bring it to Moses, the tzaddik of the generation. 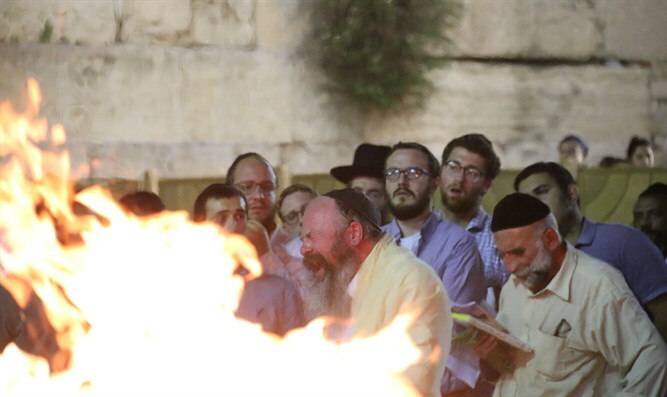 Moses mixes all the oils together so that they illuminate each Jew’s soul, revealing the eternal, burning candle of the Tabernacle – the Divine candle that is the soul of every Jew. The pure olive oil in every Jew’s essence is the secret of his very being. It is his part in the Torah. In the Tanya we learn that every Jew has a portion of the Torah that is his – both in the revealed part of the Torah and in its inner dimension – including the secrets of the secrets of the Torah. How does a simple Jew earn the merit to transform the formless essential oil of his soul into secrets of secrets of the Torah? When describing the oil to be brought to Moses, the Torah calls it, “katit for illumination”. “Katit” means ‘crushed’ or ‘broken’. Every Jew’s inner secrets are in the merit of the fact that he has a broken heart. Similar to the famous hassidic saying, “There is nothing as complete as a broken heart”, the process of breaking illuminates the heart and beckons it to reveal new insights into the secrets of the secrets of the Torah. It is written that G-d reveals secrets of the Torah to a person whose heart is worried within him – to a person whose heart is broken. A person who is broken becomes a vessel for the secrets of the Torah. Why are we all suffering? Why does the Nation of Israel have to suffer so terribly? We suffer for the secrets that G-d will reveal to us. It is all worthwhile – a descent for the sake of a greater ascent. We are all broken in order to perceive the secrets of the Torah, which ultimately sweeten our broken hearts. The secrets that emanate from the most essential place in our souls turn the brokenness of our hearts, ‘shever’ in Hebrew, to the positive ‘shever’ – grain and abundance, both material and spiritual. We now have abundant, pure, olive oil, broken for illumination – our new Torah insights on the deepest of G-d’s secrets. Moses collects all of this abundant oil from all the Jews, combines it and transforms it into eternal light. It is Moses’ job to ensure that the light will burn eternally and exactly as needed. Not too much and not too little. Abundant light in rectified vessels. He ensures that the light will be balanced and stable – and shared. 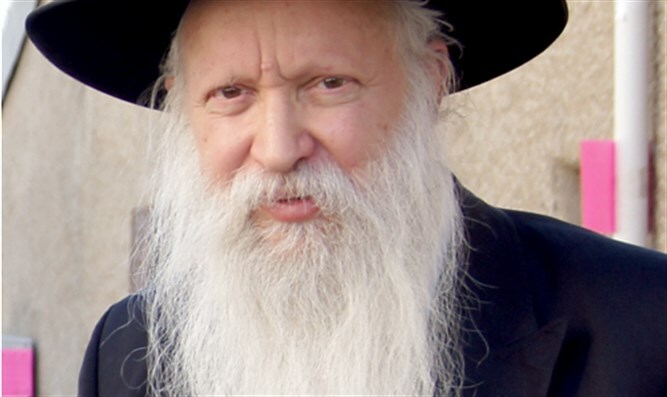 According to the Arizal, Rabbi Shimon Bar Yochai is the main reincarnation of Moses. One of the methods of expounding upon the Torah that is essentially connected to Rashbi (Rabbi Shimon Bar Yochai) is called, “Taking away from here, adding there, and expounding”. This entails taking a Torah verse, for example, cutting it from one end, rearranging its order and then - when all the components have been realigned - a new, essential, inner meaning emerges. Rashbi’s essence is completely directed toward restoring the Shechinah, the Congregation of Israel – back to its face-to-face position toward G-d. Presently, we are back-to-back. The Nation of Israel does not constantly think about G-d. During all the times that we are busy and invested in our own mundane concerns, we have our backs toward G-d. The great tzaddikim like Rashbi are completely dedicated to turning us back to face-to-face mode – so that we think about G-d, talk to Him and act in this world on His behalf. How is this realignment accomplished? First, it entails sawing the two who are back-to-back apart. This is a painful, breaking process, similar to the Torah-learning process of “taking away from here, adding there, and expounding”. After the painful separation, a new, realigned, more inner and joyous reality of face-to-face has been born. So how do we turn our suffering into joy? We bring Moses the secrets from the breaking points of our lives. Moses connects them all together, and realigns all the inner light of secrets of secrets in a completely rectified manner - essential, pure olive oil - “to elevate an eternal light”.